That leverage existing and new systems and technologies that are integrated into a centralized command and control center. Proximex solutions ensure that incident information is no longer trapped within disparate systems, but brought together in context with security policies and operations for analysis and resolution. 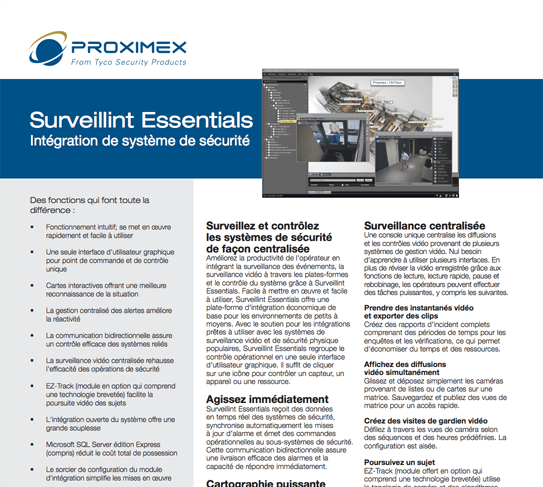 Proximex Surveillint is a power Physical Security Information Management (PSIM) solution providing integration to video, access control , intrusion, fire and other systems into one common interface. Available in two versions, Essentials and Enterprise, Surveillint can accommodate a wide range of integration needs for small-to-medium and medium-to-large scale environments. All Surveillint PSIM solutions provide greater situational awareness, decreased incident response time, and simplified event reconstruction and reporting. *Johnson Controls will be ending support for Proximex Surveillint 7.1 on December 31, 2018. We encourage you to upgrade to Proximex Surveillint 8.1. Click here for details on the End of Support for Proximex Surveillint 7.1.
o	Tyco security solutions has released a critical update to Proximex Surveillint Enterprise and Essentials releases 7.1, 8.0 and 8.1 to address security vulnerabilities recently discovered in the application. For an official description of the vulnerability, fix and mitigation plan please refer to the ‘Product Security Advisory’ CPP-PSA-2018-03 under the ‘Security Advisories’ section on the Cyber Protection website. 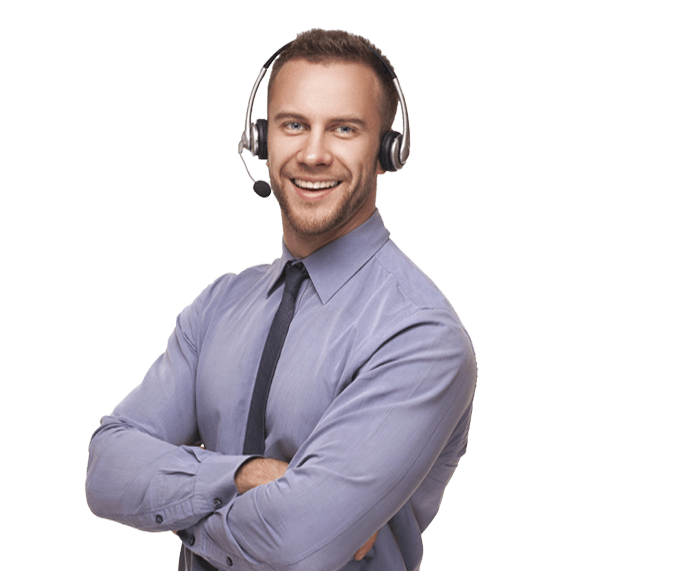 If you have any questions, please contact your technical support team or the Cyber Protection team. Proximex has formed a partnership agreement with Cruatech to provide PSIM migrations services for Proximex Surveillint customers who are moving to a new PSIM platform. Under the agreement starting June 2020, Cruatech will also provide software support for Proximex Surveillint 8.0 and 8.1 until at least May 31, 2023 for customers with a valid Software Support Agreement (SSA). Customers are encouraged to migrate to Proximex Surveillint 8.1 prior to May 31, 2020, when all support for 7.1 ends, joining the obsolete status of all prior releases. least May 31, 2023 for customers with a valid Software Support Agreement (SSA). Customers are encouraged to migrate to Proximex Surveillint 8.1 prior to May 31, 2020, when all support for 7.1 ends, joining the obsolete status of all prior releases. Copyright ©2018 Johnson Controls. All Rights Reserved.